Who ya gonna call?! Super Megafest welcomes the Ghostbusters of Massachusetts. See the giant Staypuff Marshmallow Man and take photos with the Ghostbuster Team! 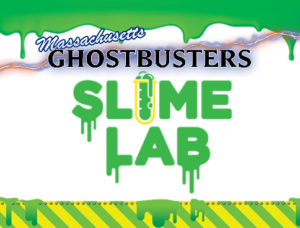 Join the Massachusetts Ghostbusters at their booth each day for an interactive Slime Lab Demonstration! Participants (aka Test Subjects) will be able to make the oooey gooey stuff we all know and love from the movies! Ssshhh... don't tell them, but they actually might learn some science in the process. Who ya gonna call? Sign-ups will be taken throughout the day and a $5.00 donation to Baystate Children's Hospital is requested per participate.